This conceptual paper revisits and reviews early milestone literature of influential authors, who discuss the impact of the Internet on major forces that shape a company’s marketing strategy to assess whether their futurist predictions and conceptual claims turned out to be true or were later falsified by empirical research or market experience. In particular, the impact of the Internet on customers, design of products/services, pricing, marketing communications, intermediaries, publics, and social/cultural environment is explored. Throughout the paper, related under-researched and unsettled areas are discussed and future research avenues are suggested. Marketing practitioners and academics have devoted considerable effort to identify the effect of the Internet on marketing. Early pioneering scholarly works envisioned the Internet as a driver so significant that it would transform even the most basic premises of the business environment. For Hoffman and Novak (1996) “The Web combines elements from a variety of traditional media, yet is more than the sum of the parts” (p. 55). Peterson, Balasubramanian, and Bronnenberg (1997) stated that “The Internet can be considered a market discontinuity because it represents a shift in any of the market forces or their interrelationships that can not be predicted by a continuation of historical trends and that, if it occurs, can dramatically affect the performance of a firm or an industry” (p. 330). Achrol and Kotler (1999) described the growth of e-commerce as the single biggest opportunity and threat facing almost every industry. These pioneering articles regarded the Internet as a major driver of change for marketing, in other words as a new technology introducing novel dimensions that offer a new basis of competition or way of doing business. Throughout the years, academic knowledge about the impact of the Internet and other emerging technologies on marketing has accumulated and due to the unique characteristics of the virtual world and its huge business potential a distinct research stream has emerged drawing academic interest from both IS and marketing disciplines. This paper revisits and reviews early articles of influential authors about the impact of the Internet on the major forces that shape a company’s marketing strategy. The foremost purpose of this study is to assess whether the futurist predictions included in these milestone articles did actually turned out to be true or were later falsified by empirical research or market experiences. It is important to note that the purpose of this article is not to judge the value of these visionary works of art. These articles dutifully served their purpose as courageous attempts to shed light on an undiscovered intellectual territory on which academic understanding was lagging behind the developments occurring within the business environment. The birth and the explosion of the Internet was so rapid that only after the burst of the dot.com bubble the academia could catch up to provide theoretical explanations and normative prescriptions. 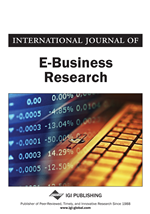 Therefore, acknowledging their fundamental academic value, this article aims to present a systematic analysis of the early predictions on how the Internet will change business environment and its subsequent impact on marketing strategy. In order to establish a coherent flow of arguments the framework shown in Figure 1 is used categorize the topics to be investigated. The figure presents a grand summary of the marketing process and the forces shaping a company’s marketing strategy. Throughout the paper the academic knowledge on the impact of the Internet on each of those forces is explored, and future research avenues are suggested.